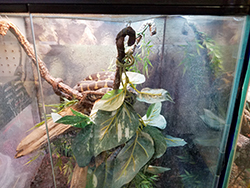 Stop by today and see our vast selection of exotic pets! Carol's Critters in Tallahassee, FL is a locally owned and operated pet store selling a wide variety of exotic pets and pet supplies! Do you need pet food supplies or aquarium supplies but don’t know where to look? Do you need more information on detailed ingredients of your cat or dog’s food? Your questions can all be answered at Carol’s Critters, one of the best pet stores in Tallahassee, FL. They retain an extensive knowledge of cats, dogs, exotic pets and fish to help you better understand what your pet needs the most. Carol's Critters is a full pet store that offers various pet food supplies in many high-quality brands and other necessary pet supplies. Whether you have a cat or a pup, fish or exotic pets, they have all the pet supplies that you need. Head over and find a new friend from their vast selection of animals. One of their friendly and knowledgeable staff can help you! A new pet is both a blessing and a responsibility. Whether you've got a new bird, puppy, baby rabbit or newborn kitten, Carol's Critters has the supplies that your little buddy needs! Carol’s Critters understands that customers view their pets as family members and believe they deserve the same level of care and comfort. Carol’s Critters can help provide that level of comfort and care with their huge selection of pet-related products, aquarium supplies, pet food supplies and services. Get your favorite pet products at Carol's Critters today! Are you concerned about choosing the right foods for your cat or dog? Choosing the most supportive pet food supplies for their health can be a real challenge, but not if you head over to Carol's Critter's. From grooming and canine education, to vaccination clinics and photography, Carol's Can help your furry friend stay clean-cut, nutritionally stable, and most of all, happy. Let this friendly staff help with any questions regarding wet and dry foods and which ones boast the right vital vitamins and minerals. Bird Food Nutrition is one of the most important categories for psittacine health; these exotic pets acquire an exotic taste. Carol's Critters offers a wide variety of seeds and pellets and bird treats. Treats, fruits and veggies are highly recommended in order to train and keep your bird optimally healthy. From parrots to parakeets, help your bird live a longer healthier live and talk to Carol's Critters about their many different bird food and supply options. Are you looking for aquarium supplies for your fresh water fish tank, or pond supplies for your water garden? Carol's Critter's carries the quality fish-keeping products you need. The large assortment of freshwater and saltwater aquarium supplies include corals, fish, live rock, and much more! 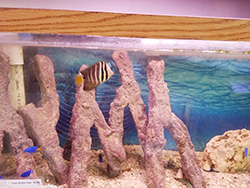 Stop by and check out our fresh water fish we have. We have everything you need from food for fresh water fish to tank cleaning supplies and more! We sell a wide range of exotic pets and affordable pet supplies. If you are looking for fresh water fish for your tank or other accessories, we have got you covered. We also provide tanks, fish food, cleaning supplies, and more. If you are in Tallahassee, FL or the surrounding areas, we are the perfect pet store for you. If you are planning to welcome a new member to your family or buy fresh water fish, visit our store! Selecting the right fish food is very important to the health of your aquarium. Carol's Critters carries a wide variety of quality fish foods, including pellet, flake, freeze dried, shrimp, koi and other types of fish food. Whether you've got filter feeders, bottom feeders or just a Betta in a bowl, you'll find that Carol's selection can't be topped! Carol's Critters is one of the best pet stores in all of Tallahassee, FL, serving the surrounding areas as well. They carry the largest selection of pet supplies, pet food supplies and fresh water fish! Whether you're looking for a small addition to the family or need a few food items and products, they can help. Head to Carol's Critters for quality service, affordable prices and for the answers to all of your questions! Serving Cairo, Bainbridge, and Thomasville, GA & Tallahassee, FL & Dothan and Mobile, AL with all the fresh water fish supplies you could need! Puppies & small animals, reptiles, hand-fed birds, fresh & saltwater fish.